Fact Checked This article was fact checked by one of our writers on April 15, 2019. It’s no surprise the Corgi remain one of the most popular dogs in the world. These little canines have big personalities, a charming appearance, are loyal to their owners but come in a small package. Standing at no more than 13 inches in height, they were used as herding dogs before being transformed into companion pets. There are two different types of Corgi: the Pembroke Welsh Corgi and the Cardigan Welsh Corgi. Both can make great pets but the Pembroke variety remain the more common of the two Corgi breeds. Popularised by Queen Elizabeth II, they’re the 18th most popular dog breed in the world. • Where do Pembroke Welsh Corgis come from? • The difference between Pembroke and Cardigan Corgi? Where do Pembroke Welsh Corgis come from? Pembroke Welsh Corgi can trace their history back to Flanders (which is located in northern Belgium). Henry I of England invited Flemish weavers to relocate to Wales in 1107. These workers brought their small dogs with them. They’re believed to be the ancestors of what we know as the Pembroke Welsh Corgi today. Described as “sturdy” dogs, the founders of the Pembroke Welsh Corgi breed were used to herd cattle and sheep. However, there remains mystery around the early days of the breed given other reports suggest the Vikings brought these dogs to Great Britain from Sweden. In modern society, they’re associated with Queen Elizabeth II. The British monarch bred these dogs throughout much of her reign. Her Highness was thought to have owned over 30 of these dogs before her last Pembroke Welsh Corgi called Willow died in 2018. They’re the 18th most popular dog in the United States, according to the American Kennel Club. Not to be confused with Pembroke, the Cardigan Welsh Corgi differ in appearance. These little dogs were herding animals over 1,000 years ago in Great Britain after arriving in Wales from central Europe with settlers. Their name is thought to be derived from ancient Celt word for dog, Kergie. They served a dual purpose for the Celt people by herding the cattle during the day and guarding the sheep at night. Cardigan Welsh Corgi achieved recognition by the AKC as a separate breed in 1931, with no previous distinction between the Cardigan and Pembroke Corgi. Breeders worked hard to repopulate the breed in the 1940s due to concerns about their longevity during wartime. They’re not as popular as their Pembroke relatives, rated 69 out of 193 in the AKC’s most popular breeds in USA. The difference between Pembroke and Cardigan Corgi? Before taking a look at Corgi colors, let’s get a better understanding of the difference between the Pembroke and Cardigan Welsh Corgi. One noticeable difference is Pembroke Welsh Corgi don’t have tails – they’re either born without them or docked at a very young age. It is thought farmers docked the Pembroke’s tail to avoid potential injury when herding cattle or sheep. The AKC’s breed standard outlines that their tail should be no longer than two inches (five centimeters) in length. Alternatively, Cardigan Welsh Corgi have long, bushy tails that are often likened to a fox’s tail. Pembroke Welsh Corgi have erect, pointy ears that gives them an alert appearance while Cardigan Welsh Corgi have rounded ears. The latter are usually a little heavier and taller than Pembrokes. Pembroke Welsh Corgi can come in a variety of different colors, according to AKC breed standard guidelines. Any variation of red, sable, fawn, black and tan with or without white marking is acceptable to meet the Pembroke’s breed standard. The red and white Pembroke is the most common variety, although the red color can vary in strength from dog to dog. While they may have some black markings as puppies, the red can come to the fore as the black diminishes when the pup matures. Sable Corgi tend to have cast black markings on the point of the tail, their back, their neck and even a little over the head and down towards the eyes. The red is more chestnut in appearance. Sometimes likened to a raccoon, the black headed tri color Pembroke Welsh Corgi are notable for the black coloring on their faces, head and ears. There’ll be tan on their face, belly and legs. The red headed tri color isn’t too different to the sable Pembroke in appearance. They’ve got red head, face and ears with splashes of faint black on their back and neck. Cardigans have a far greater variety in terms of coat color than their Pembroke cousins. The AKC outline that “all shades of red, sable and brindle”. Black is also acceptable with or without tan and brindle points and blue merle with or without tan and brindle points meet the breed’s guidelines. Cardigan Welsh Corgi will usually have patches of white on their neck, chest, legs, muzzle, underparts, tip of the tail and blaze on the head. However, the white on their head shouldn’t be the primary color and should never surround the eyes. Blue merles can have blue eyes or one eye blue and another brown. They can also have butterfly coloring on their nose as opposed to the standard black nose. 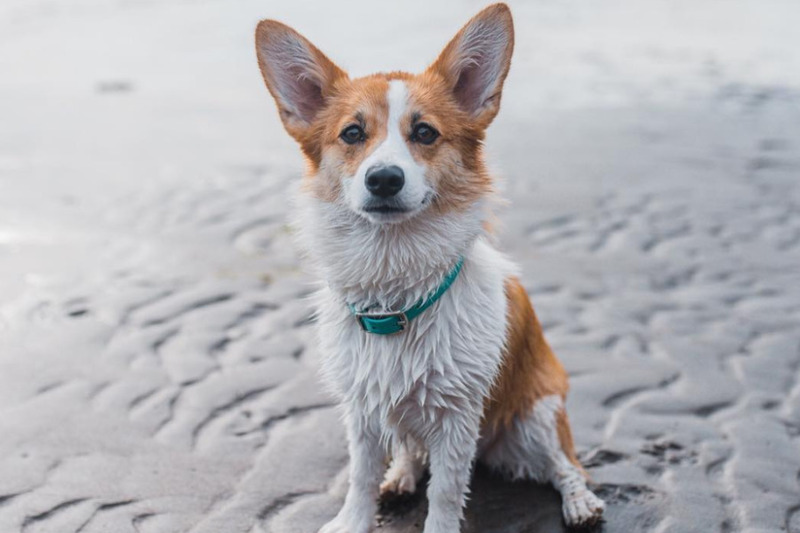 Should you come across a Corgi that differs in color to the breed standards for both the Cardigan and Pembroke above, they’ve more than likely been crossed with another breed. There has been an increase in designer or hybrid dogs over the past decade, which has led to the Corgi being bred with other types of dogs. Some popular hybrids include West Highland Corgi (Corgi and West Highland Terrier), Corpin (Corgi and Miniature Pinscher), Corgipoo (Corgi and Poodle), Cairn Corgi (Corgi and Cairn Terrier) and Corillon (Corgi and Papillon). While you may encounter some dogs that look like a Corgi, unless they’re meeting the breed standard, they won’t be considered as such by the AKC. It’s important to note that blue merle Cardigan Welsh Corgi are acceptable but blue merle Pembroke Welsh Corgi are not. If you’re considering a Corgi as a pet, you’ll need to decide on whether you want a Cardigan or Pembroke Welsh Corgi. The key difference between the Cardigan and Pembroke is the latter either has a short tail or a docked tail. Pembroke Welsh Corgi tend to be red, sable, fawn, black and tan with or without white markings. Alternatively, the Cardigan Welsh Corgi are usually found in different variations of red, sable and brindle. 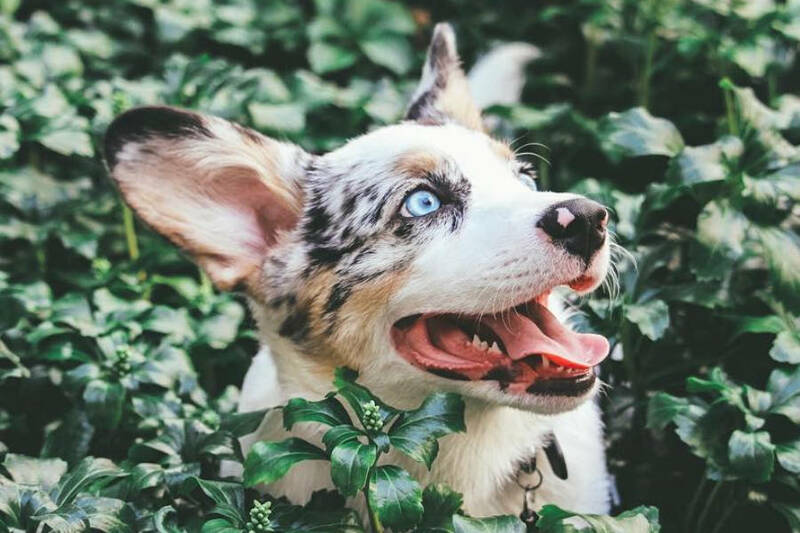 Blue merle is a popular variety for the Cardigan Welsh Corgi – but the color isn’t accepted where Pembrokes are concerned.